I am married to a coffee-lover. And by coffee-lover, I mean that he works in coffee and knows everything about it: from tasting notes, to how to roast, to the perfect ratios you need to make the perfect V60 of each grind of coffee. Me? I’m honestly fine with a Dunkin’ Donuts coffee. However, since being with Alex, I have been able to taste, recognize, and appreciate the differences between roasts, coffee origins, etc. So…I guess I’m a coffee nerd now too. It’s okay. I’ve come to accept and love it. Don’t get me wrong, we’re not coffee snobs. I still will gladly enjoy a Caramel Macchiato from Starbucks. BUT, I appreciate and seek out great speciality coffee as well. And honestly, you know that joy you get from your first cup of coffee in the morning? It can be even MORE enjoyable if you take the time to notice and recognize the flavor notes and taste of your coffee. 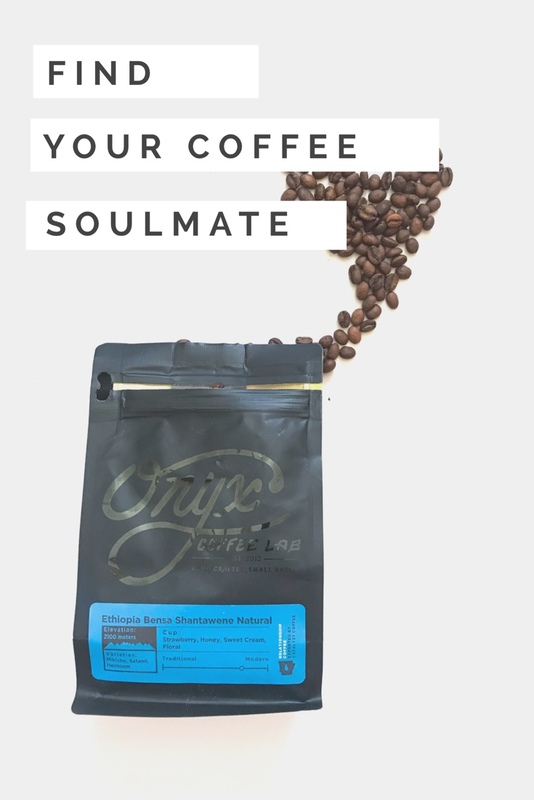 If you were like me a few years ago and have no idea where to start when looking for a specialty coffee to try, I have something that may work for you—Trade Coffee. Trade Coffee is super awesome, because they have a fun quiz that will match you with your perfect cup of coffee. And THEN, you can even get a subscription so you get your coffee at your door whenever you need it. I tried Onyx’s Ethiopia Bensa Shantawene Natural which was absolutely delicious. It tasted like strawberry shortcake, which, what is more heavenly than that?!? They don’t currently have this coffee available, but they have more coffee from Onyx, which is one of my favorite roasters in the states. And I have a super bonus for you because I love you! You can get 50% off of your first subscription bag by using the code: “kaitlyn.luckow” at checkout. And once you order a coffee, let me know what it is so we can geek out about it together. Cheers to better mornings!